Set aside the granola and 1/4 cup each of sliced strawberries and banana for garnish. Place all remaining ingredients in a blender and pulse several seconds. 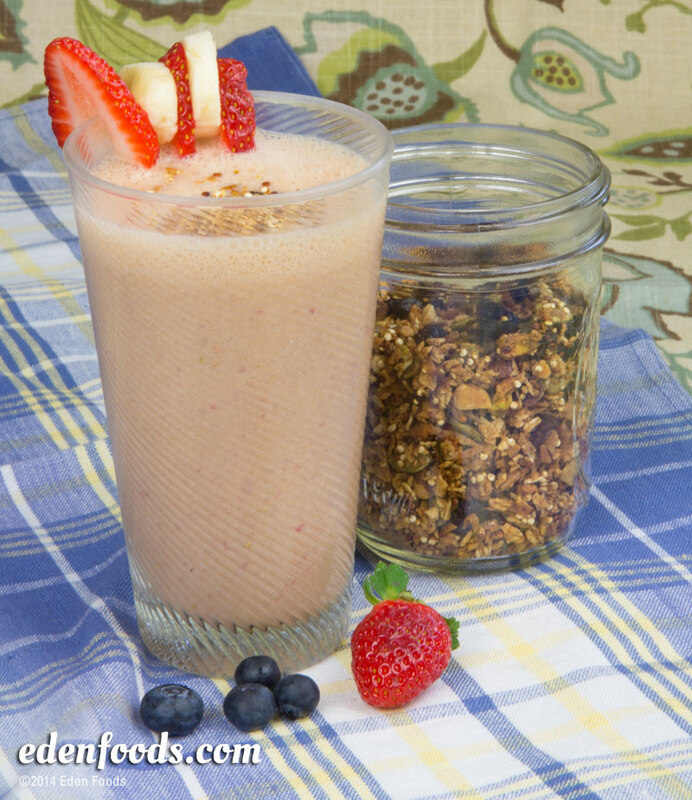 Pour into glasses and top each with an equal portion of granola and fresh berries and banana. Serve.